West Loop Wonderful! 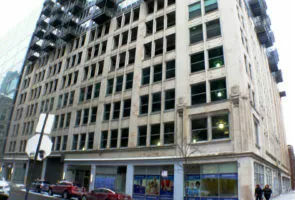 Beautiful 1 bedroom, 1.5 bath condo in the near West Loop! High floor with bright open city views. Unit has been freshly painted and has new bedroom carpet. FHA approved building. Hardwood floors, cherry cabinets, granite counter tops, stainless steel appliances, large breakfast bar. Spacious master bedroom with double walk in closets. Huge master bath with separate shower, soaking tub, and double sink vanity. Powder room and balcony. Storage locker and heated garage space included. 1400 sqft Q Room with pool tables, foosball, darts, bowling alley, putting green, theater, fitness center, bar and lounge. 24 hour doorman and on site management and engineer. Perfect West Loop location. Walk to Union Station, Ogilvie, shopping, restaurants, green line el and blue line el. Don’t miss this one!